RP does know how to apply diet principles in an easy manner. It simplifies the guesswork of what to eat to get you results. Try it and you will it regret it! I’ve really enjoyed this app. It’s very personalized, and I feel like I can trust the process. Really love how it adjusts based off of weigh-ins throughout the week. The updates are great. Being able to add multiple protein (carb and fat, too) sources is a big plus. A couple areas of improvement: -I previously did a “cut” that I ended early. I wanted to adjust the end date/goal weight, but the app didn’t allow that. -I was disappointed that it didn’t save my data (weigh-in chart) when I ended the diet and went into maintenance. Overall, I like this app. Slight changes would be nice, but I plan to continue to use it. I love how it keeps me on track and all the food options. 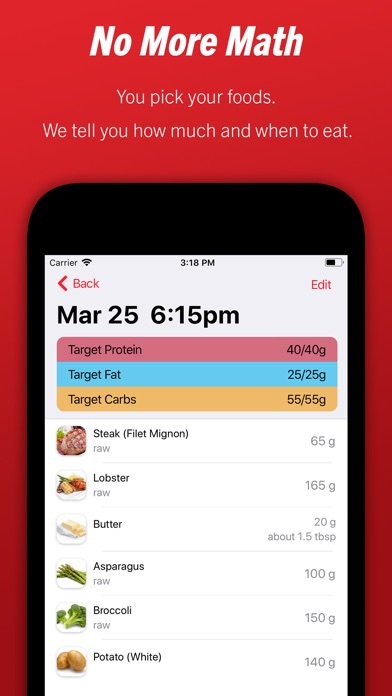 Best diet app on the market! 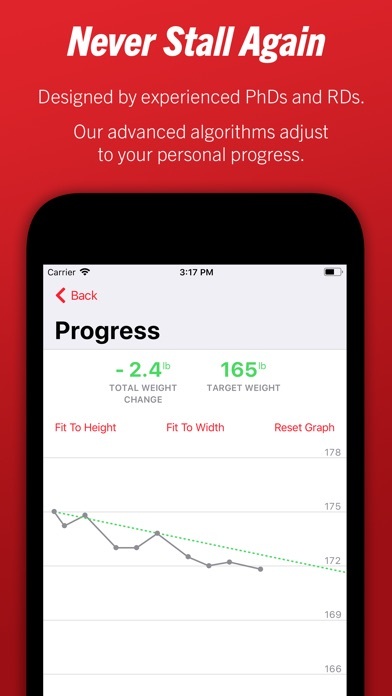 The App is a great tool for those looking to lose, maintain, or gain weight. RP has been great at accepting feedback on the app and quickly making adjustments that make an already strong app, stronger. I miss the simplicity of the old version. It work great for making my meals up in the fly, and copying them where needed. The new version is cumbersome to use. This app works for me. I am loving it. My first go round is with a fat loss diet and I am seeing the fat fall off my body. My wife is very impressed! 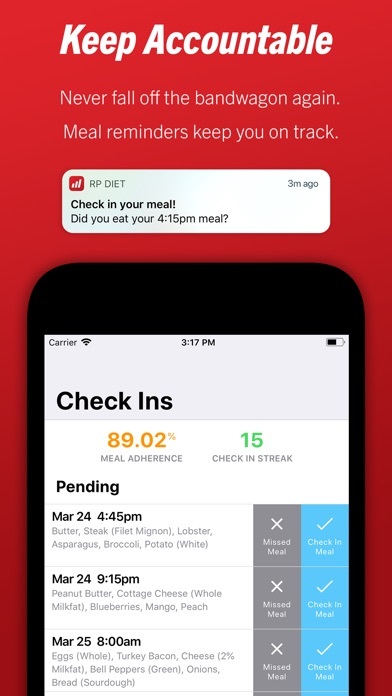 The app gives a lot of options and has opened up a lot of new foods to my family. Totally happy with this program! I am 6 weeks into the 9 week program and I am eating a lot and dropping the fat. I do workout 5-6 days a week on top of following this program. I’ve done the templates before and had times where I felt like a mathematician due to all the calculations. With the app it’s no question just slide the bar. 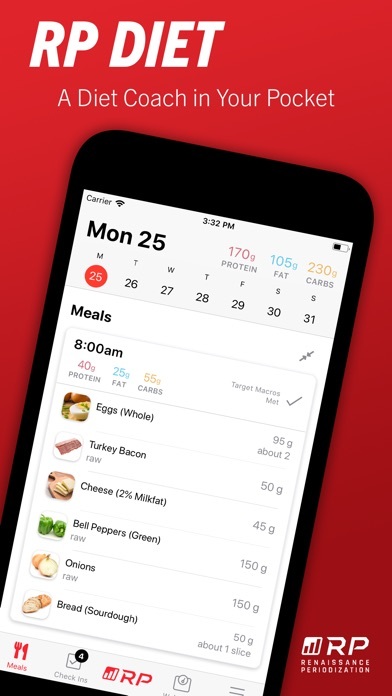 Also love the meal reminders so if you get busy and forget, the apps got your back.